If you liked this show, you should follow The Networthy Project. A special episode of the NETworthy Show with in studio guests. 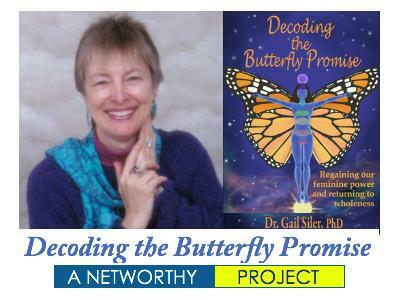 You are invited to join us for the launch of a timely new book: Decoding the Butterfly Promise. Regaining our Feminine Power and Returning to Wholeness by Dr. Gail Siler. Relive Gail’s personal journey that took her out of the safety of her everyday world into an amazing landscape where our true power lives. Her journey takes her into the ancient records where she finds out what really happened to cause the break between our feminine and masculine powers. Not the history we have been told, but the story of the ancient archetype and what REALLY happened to humans....a story hidden from us for eons. A truth whose timely rebirth is important to all of us now. We anticipate a lively discussion and invite you to listen and call in with comments and questions. 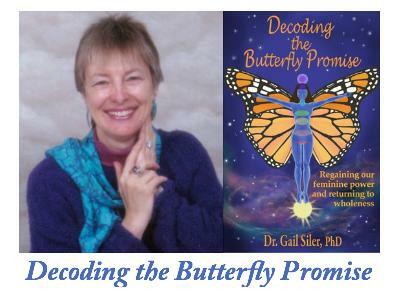 For more information about the book visit Dr. Siler's website - decodingthebutterflypromise.com. See you Wednesday, August 1, 2012 @ 7pm PDT.